Lovely Tuscan style hone with loads of upgrades on an over sized lot! Hard wood flooring in living room plus Two way gas fireplace. 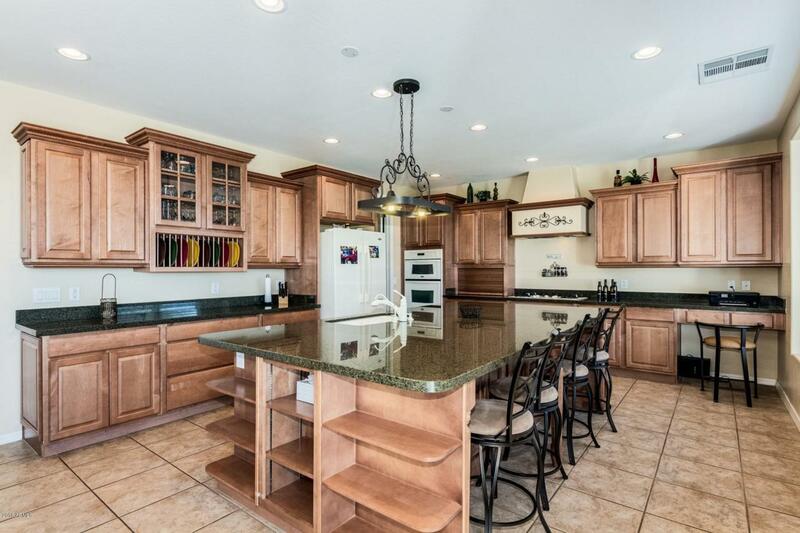 Gourmet kitchen with staggered cabinets w/pull out shelves plus crown molding, Whirlpool Gold appliances, 5 burner gas cook top plus double ovens, granite counter tops, W/I pantry and gigantic center island with cabinets. One bedroom/bath downstairs. Loft. Raised his/her vanities and dual shower heads in master bath. Surround sound. RV gate. 220 in the garage. Gas stub for BBQ in back yard. Covered patio runs full length of home. All furnishings included if desired! Exterior repainted 4/17!